According to the United Nations’ World Health Organization (WHO), folk or traditional medicine consists of all medical practices traditionally used to prevent, diagnose, treat, and/or cure diseases, as well as all practices designed to improve one’s physical and mental well-being. These traditional practices may be based on a society’s unique cultural norms and standards; may be passed down from previous generations; and may or may not be scientifically or empirically justified . In the final years of the Ottoman Empire, the Province (Sanjak) of Dersim was divided into six districts (kazas). Of the six districts, I was able to find information about two – Charsanjak and Çemişgezek, both with large Armenian populations, and both located in the Dersim Plateau (1,000-2,000 meters above sea level). I was unable to gather information of the same quantity or quality on the other districts of Dersim. The mountainous areas of Dersim were located at an altitude of 3,000-4,000 meters above sea level. Many of these regions were created by volcanic processes, and as a result, featured many natural springs that were through to have medicinal properties. 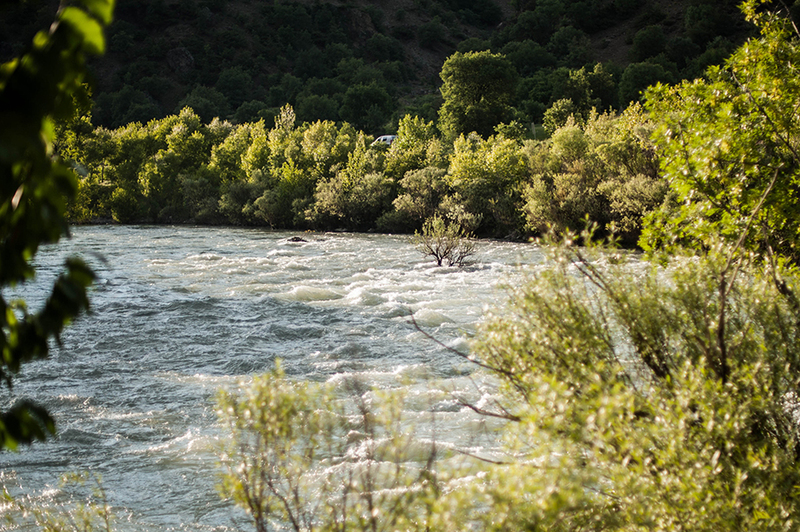 The Province of Dersim was rich in water, given that it was crossed by multiple streams and rivers. Thus, medicinal herbs and plants were featured heavily in the region’s traditional medicinal practices, and the presence of those medicinal herbs and plants was a direct result of the geography and topography of the area, including the waterlogged soil favorable to the growth of various plants and herbs. 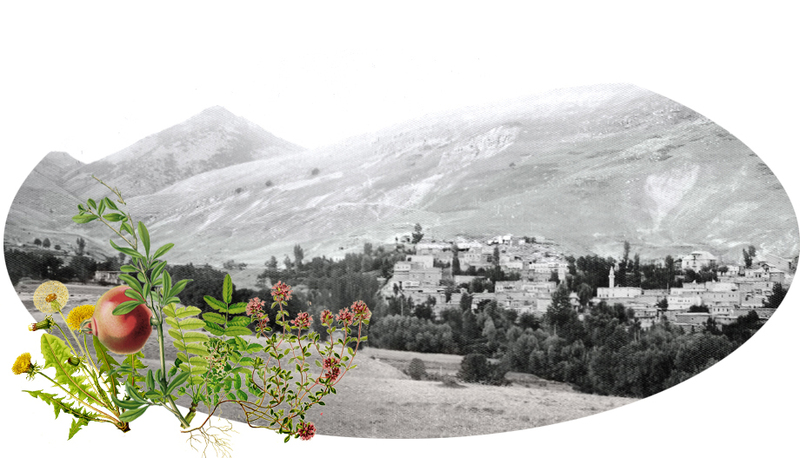 According to the principles of phytogeography, the flora (legumes, fruit-bearing trees, vegetables, and herbs) of the Dersim Plateau would be generally uniform, and thus their medical applications throughout these regions should be alike. It is also reasonable to assume that the mountainous parts of the area also featured similar flora and the incumbent popular medical practices. Additionally, it is safe to assume that the area’s Armenians, Turks, and Kurds used very similar medical practices. The majority of the inhabited areas of Dersim were located at an altitude of 1,000-2,000 meters above sea level. Consequently, the province featured many forests that purified the air; many sources of potable water sustained by the melt-off of winter snows on the mountains; and a climate conducive to the growth of various grains, vegetables, and fruit-bearing trees. Given such conditions, one would expect the people of Dersim to be hardy and to be blessed with longevity. One would also expect the population to grow exponentially. We know that until the very last years of the Ottoman Empire, there were no practicing doctors in Charsanjak, and no functioning apothecaries in Perri. A rudimentary form of medicine was practiced by old women, using ingredients and herbs obtained from local attars (peddlers), such as castor oil. Barbers also offered medical services in the markets, and practiced both bloodletting and leeching. The region was periodically devastated by outbreaks of endemic and childhood diseases, including malaria, tuberculosis, measles, smallpox, and whooping cough. Young couples in Dersim soon established large families, but over the years, many of their children would fall victim to illness. For example, over a period of twenty years, a mother would bear 10-12 children, of whom only one or two would survive to adulthood. Kevork Yerevanian, one of the chroniclers of Dersim, tells of Mako Baji, who had 30 children, all of whom died in their youth . From the modern perspective, Yerevanian had good reason to think that a heavily carnivorous diet and short life spans were correlated. Many epidemiological studies have shown that the heavy consumption of red meat contributes to higher rates of cancer of the stomach and the colon, as well as heart and cardiovascular diseases . In relation to health, it is also important to note the salubrious conditions that existed in some areas of Dersim. 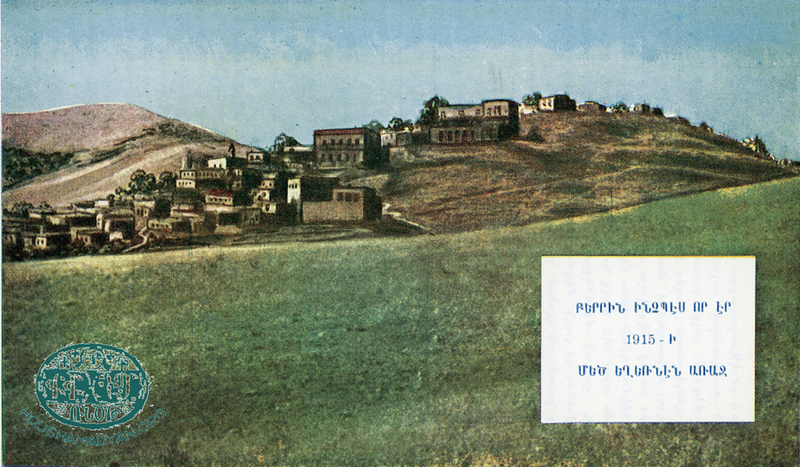 Ghazarian states that beginning in the 1880s, in Çemişgezek and its surrounding Armenian- and mixed-populated villages, “modern” two-story stone homes gradually began replacing the traditional ground-floor habitations where animals and people lived together, and where diseases thrived . On the other hand, in other areas of Çemişgezek, people still lived in ground-floor, earthen homes. These homes were vulnerable to rats, and the puddles of water around them contributed to the growth of large colonies of flies and mosquitoes that spread disease. Yerevanian describes another practice harmful to health. In the winter, to shelter from the cold, entire households would gather in their homes’ hearths, which were often kitchens, living rooms, and bedrooms combined, would shut the few windows, and would breathe in the fumes of their kerosene lamps . It is not hard to imagine how easily diseases could be transmitted to old and young in such a fetid environment. 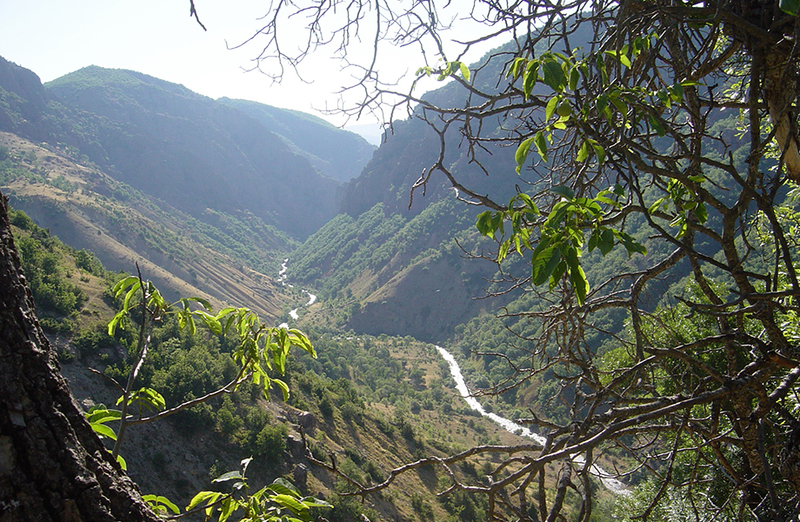 Contemporary images showing the natural scenery of Dersim. The photographs were provided by a friend of Houshamadyan, Norair Chahinian, who kindly put them at our disposal. 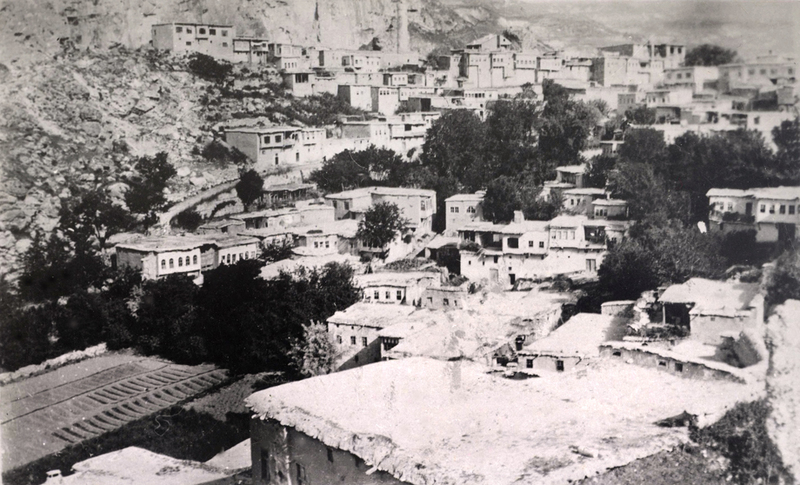 Doctors visited the Armenian villages of Dersim only on rare occasions. In some cases, Armenian peasants died without ever having been examined by a doctor in their lives. Thus, traditional medicine was the only resort for most peasants. There were experienced midwives and bonesetters in the villages, but the foundation of medical practice remained ancestral knowledge, passed down from one generation to the next, and practiced widely by the public. As in many other cultures, the people of Dersim were convinced that disease could be caused by supernatural phenomena, such as an “evil eye” cast upon someone by a jealous rival, the “evil spirit” they often called “El,” etc. Since supernatural causes were often considered the causes of disease, it is natural that the people resorted to superstition to stave it off. In Dersim, as in other areas of historic Armenia, pilgrimages (to monasteries, mountains, tombs, and natural springs) and animal sacrifices were seen as a means to ward off the “evil eye.” The people also believed in the power of talismans. 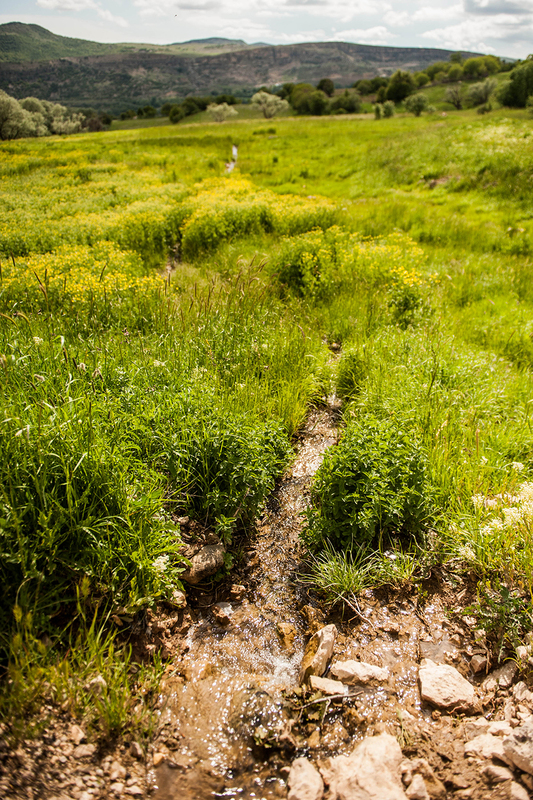 Alongside these practices, the people of Dersim also used herbology, as well as waters of natural springs, to treat disease and keep it at bay. Contemporary images showing the natural scenery of Dersim. The photographs were provided by a friend of Houshamadyan, Cihangir Gündoğdu, who kindly put them at our disposal. The people of Dersim were unaware of the modern scientific practice of water therapy. For instance, there are many scientific ways to explain the palliative effects of balneotherapy – the regulation of blood circulation and heartbeat, changes in hormonal secretions, and the detoxifying effects of sweating and the expulsion of toxic substances via urine. The shock caused by the quick, successive exposure to heat and cold also has a “numbing” effect on the sensation of pain. This effect is based on the theory of counter-irritants, which is also the basis of many modern topical analgesic preparations. 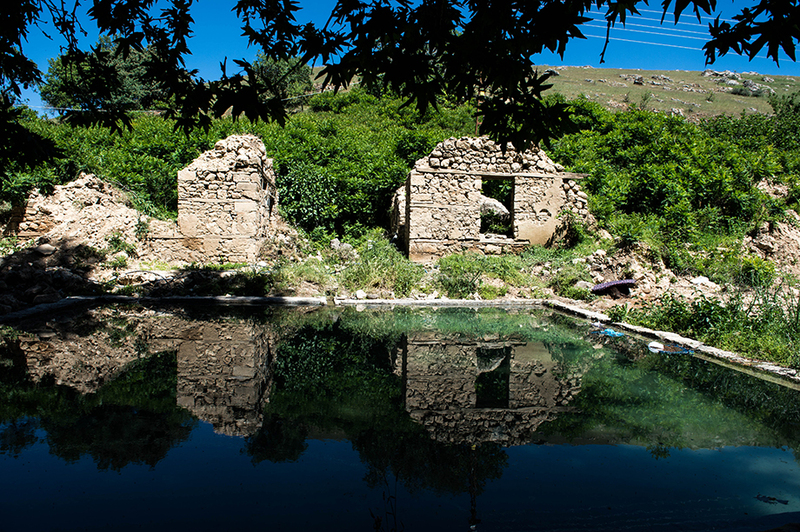 The waters of the natural springs in Dersim, many of which had volcanic origins, were rich with macro-and micro-chemical elements. The salts of these waters were absorbed in the body of bathers via the skin, as well as through the breathing of the aerosol-ed droplets . The Natural (Volcanic) Springs of the Baghin Mountain. The water was rich in iron and sulfur. Those who suffered from rheumatism visited this spring . Sulfur contributes to the healthy growth of cartilage in joints, ligaments, and tendons . The Sourp-Ag (Sovouk-Ag) [Holy spring] Natural spring . The Noroyents spring in Perri. The water was thought to cure those who were suffering from “shivering.” Children and adolescents, some coming from faraway places, would bathe in these waters on Christmas Eve to stave off the “shakes” that many of them suffered during the year. After bathing in the waters, they would “leave their shakes behind” by tying a piece of their clothing to the branches of the Whitebeam tree (Pyrus, or Sorbus aria) that grew at the head of the spring. This practice of tying pieces of cloth to branches of “holy” trees was commonplace across the many holy sites/medicinal hot springs of historic Armenia . The “shakes” were a symptom of malaria. Malaria was spread in the region by the mosquitoes that bred in the swampy areas of Dersim, such as Perri . When bitten by the female mosquitoes, people’s red blood cells became infected with the unicellar protozoan parasites that cause malaria. These parasites go through their life cycles within the bodies of infected individuals, causing various symptoms of different intensity, including fever, headaches/body aches, excessive sweating, delirium, and intense shaking . The shaking of malaria patients is a reaction of the body to the disease. As a result of the shaking, the muscles of the body tense up and the body’s temperature rises. Excessive shaking can also lead to sores in the tendons of the muscles, resulting in pain. Conversely, bathing in cold water relaxes the muscles, and enhances the patient’s immune system by stimulating lymphatic circulation. Yerevanian states that to treat high fever, the people of Dersim would cover the patient in many blankets to induce heavy sweating, and place towels soaked in arak on the patient’s forehead. Yerevanian also writes that Sulfato (a type of sulfonamide) was used to treat fever . This seems rather odd, given that the first sulfonamides were discovered in 1932-1935. The Mermaid’s (cherahars’) cold spring. 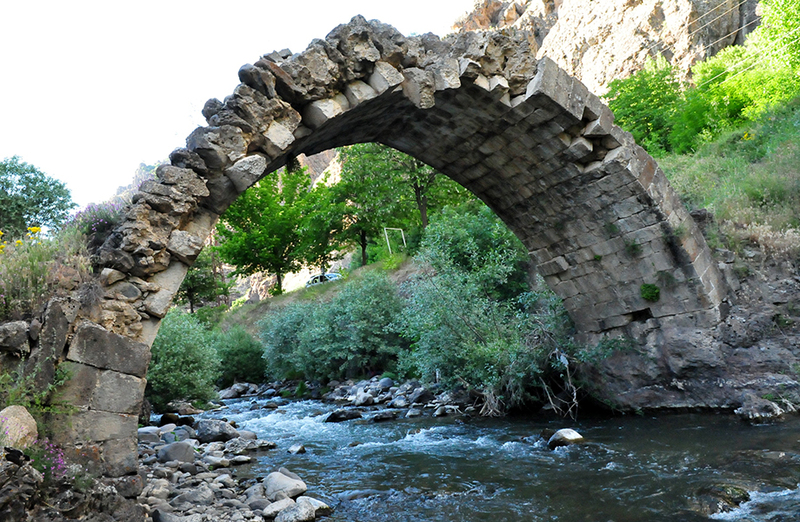 It was located near the monastery of the village of Akrag in Dersim (District of Khozat). Those who suffered from blocked ears and other ear troubles dripped the water of the spring into their ears. The patient would also light a candle and place it on the holy rock near the spring . The Khosdoug spring. Children who suffered from abdominal pain were taken to Khosdoug in Pazaron (in the Charsanjak district). The children would bathe in the waters and drink from the spring. As for adults suffering from abdominal pain, Yerevan writes that they would be treated at home. They would be given arak to drink, and if the pain worsened, a hot rock would be placed on the site of the pain . Here, we present many traditional medical practices from Dersim, gathered from several different sources. This story is retold to us by Father Karekin Srvantsdyants, who, during his travels through Dersim in the 1870s, heard it from a local called Frank Garabed (the epithet Frank was customarily used to distinguish Catholic Armenians). The subject of the story was Garabed’s own daughter-in-law, who was said to have been attacked by jins, meaning she had been possessed by “evil” spirits. The Bible had been read over her four times, and Tarot cards were used to exorcise her, but it had all been in vain. Finally, Garabed was forced to invite the mullah of a nearby village, who specialized in exorcising evil spirits. The mullah muttered some words over the woman’s head, and then declared that the evil spirits had left the body and had gone into the ground. He then picked up some dirt from the ground, filled a hollow reed with it, sealed the reed with wax, advised Garabed to bury the reed someplace safe, and demanded his fee. Garabed, still skeptical, haggled over the fee, and ended up paying the mullah ten kurush, promising to pay an additional amount when he was sure his daughter-in-law had been cured . This ceremony was supposed to treat ear disease. According to the handwritten notes of Father Karekin Srvantsdyants, this ritual was carried out by a brother and sister who had inherited the right to carry out the procedure from their ancestors who lived in a certain village (the name of the village is not legible in the manuscript). The ritual took place at the altar of a dilapidated chapel in the village. Children would wait behind the window of the altar, and when the patient arrived, they would throw a ball made of rolled handkerchiefs back and forth to each other while chanting “Sousoung, sousoung, ners kna gam tours yegour.” Thereafter, the patient would place two lit candles in the window of the altar. The patient’s ear would then be covered by a paste containing bits of the local soil mixed with the waters of Holy Virgin spring. Warding Off the Evil Eye by Pouring Lead. This practice was supposed to treat fever. A pot of cold water would be held on top of the patient’s head, into which molten lead would be poured by someone with a practiced hand. If the lead, as it cooled down, took on a spiked shape, it would mean that the person the family of the patient thought responsible for casting the evil eye was indeed responsible, and now the jagged piece of molten lead had pierced that evil eye. The lead would then be poured out into the street, where it would be trampled by passersby. In addition to this ceremony, the patient would also be wrapped in blankets and induced to sweat . There were many such practices, whose effectiveness was engraved in the collective memory. These included bloodletting; cupping therapy; bonesetting and other osteopathic techniques; the inducing of heavy sweating; and the use of medicinal herbs. According to Antranig, “the name and properties of each herb that grows in the mountains of Dersim are known to the people… Often, herbs are known through their association with the illnesses they treat or prevent” . As we have already mentioned, these diseases had an extremely deleterious effect on the population of Dersim. Generally speaking, the same information regarding these diseases is given by Yerevanian (pages 481-485) and Kasbarian (pages 494-505). A viral disease, characterized by high fever, bloodshot eyes, irritation of the throat, and the appearance of red spots on the skin. Measles was contagious, especially dangerous in the winter, and fatal if it caused brain inflammation. The patient was kept warm for forty days, and fed only milk and sweets. Sweets were supposed to ensure that the red spots were “shed externally,” and did not damage internal organs such as the intestines. A bacterial infection, characterized by hoarse coughing and the secretion of mucus, which is a vector that carries the disease and may spread it. Usually, people waited the infection out, hoping it would quickly disappear and go back to jehennem (hell). No other treatments are mentioned in the sources. A viral infection, with symptoms including fever, headaches, and the appearance of a red rash and water-filled boils on the skin. The patient was proscribed from bathing, in order to prevent the spread of the disease. A viral infection, with symptoms including fever, headaches, and the appearance of a red rash and water-filled boils on the skin. The patient was proscribed from bathing, in order to prevent the spread of the disease.A contagious viral disease, and fatal to children, especially up to the 1890s, before the vaccine was made mandatory in Dersim. Yerevanian writes that once every two or three years, officials would travel to Dersim from Kharpert to vaccinate children against the disease, but these visits were irregular. There were some elementary measures that the local population could take to prevent the disease from spreading (simple measures of hygiene, the widespread usage of soap, the quarantining of patients and their families, etc.) However, given the general mindset of the local population and the high mortality of the disease, it is unlikely that these steps were taken. According to Kasbarian, this was the name the locals gave to scarlet fever. However, when describing the symptoms, he only mentions those related to the throat (“the children would suffocate from the inside out”). He neglects to adumbrate the other symptoms of the disease, such as the red rash that appears all over the body and resembles sun burns, or the spots that appear on the tongues of patients. When necessary, the people of Dersim would burst the infected boils in the back of children’s throats with their fingers, to prevent the children from suffocating . Based on surviving descriptions, this was a skin infection of the Trichophyton genus of fungi. The disease would infect the follicles of hair on the head, cause hair loss, and leave large, circular scars on the skin. It was an extremely infectious disease. Kasbarian describes the following method of treatment – people would burn pumpkins, and mix the ashes with butter. They would then rub the resulting paste onto the scars . Generally speaking, most fatty acids have anti-fungal properties, and for that reason the butter may have been an effective treatment against tsertseroug. As for the ash of the pumpkins, it was probably used to prevent the butter from going rancid. This disease was characterized by the growth of small groups of blisters on the body, causing intense itching. The groups of blisters resembled an area outside of an anthill, hence the appellation mrchenpon. One version of the disease particularly affected the area around the elbows. In Beirut, a dermatologist used to treat the disease with calamine lotion (this information is based on interviews I conducted). Calamine lotion is an anti-pruritic/anti-itching agent. Calamine is basically Zinc Carbonate and a small amount of ferric oxide. and generally available in the form of a suspended liquid. This condition would result in the appearance of red, raised, and flat bumps on the skin. Usually dabas was caused by an allergic reaction to food or to insect bites. The sources do not mention any treatments for this condition. The Turkish name for this condition was uyuz. The disease was caused by parasite called Sarcoptes scabiei, which burrows its way into the skin and lives in it, causing extreme itching. The affected sites may also become infected if scratched with unclean fingernails. The disease spreads more quickly when clothing, underwear, sheets, and blankets are not washed properly. 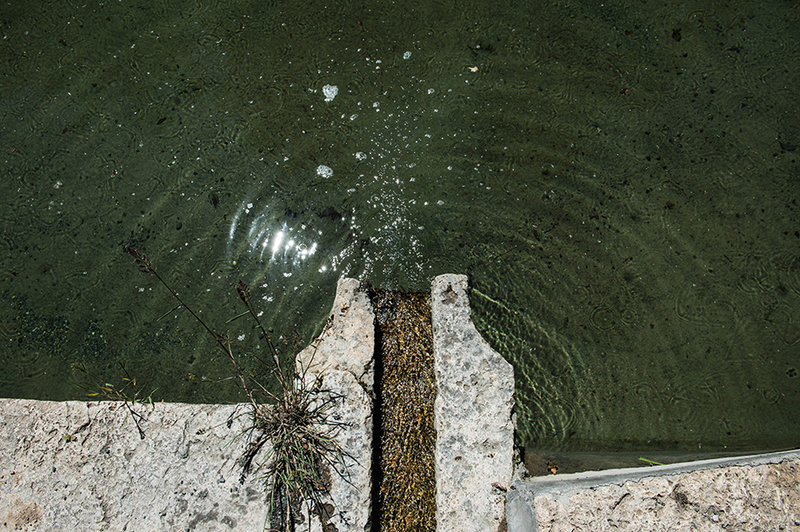 In Çemişgezek, those who suffered from kos were taken to Kosaghpur (Kos Spring), where they would bathe in the waters. We do not know if the people of Dersim also properly disinfected the patients’ clothing. 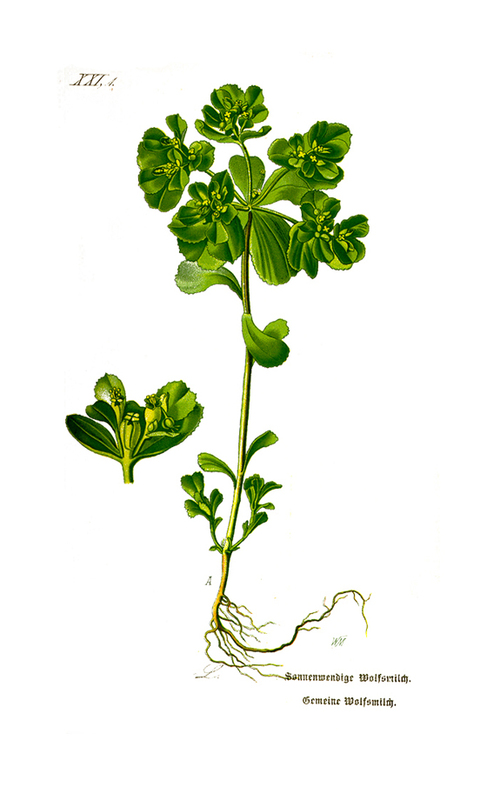 However, according to Antranig, the patient would be fed Rockfoils (Saxifraga). The patient would also drink an infusion of the same flower . I have been unable to properly ascertain the chemical composition of rockfoils, and thus was unable to evaluate the effectiveness of these methods. In Turkish, these were called chiban and it meyameyasi, respectively. These boils appear under the skin, may be infected, are usually red in color, and cause considerable itching and pain. Furuncles may appear anywhere on the body, while abscesses usually appear under the armpit. The cause for both is the bacterium Staphylococcus aureaus, which concentrates in the upper respiratory tract, and is then spread though mucus as well as objects exposed to infected individuals. Boils in the breast may infect a mother’s or nurse’s milk, spreading the infection to a nursing infant’s body. Naturally, the bacteria have an easier time spreading in environments where constant washing/bathing is difficult . Kasbarian mentions an ointment that was used to treat abscesses, consisting of egg whites and powdered sugar. 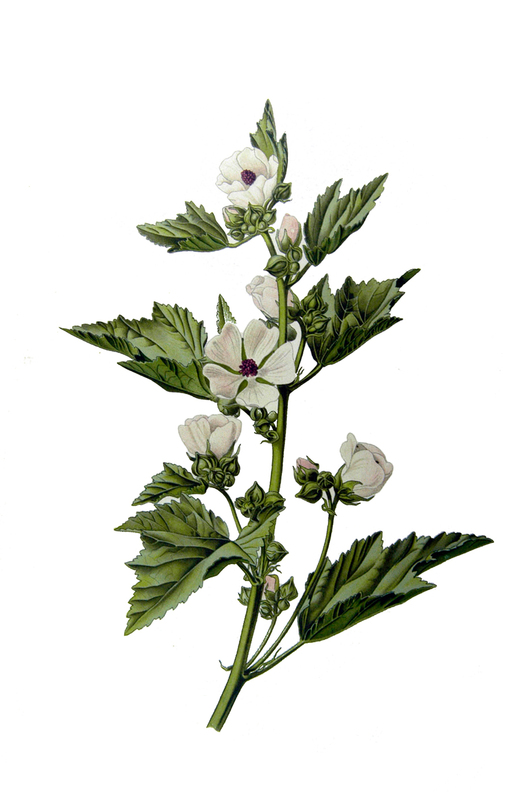 Ghazarian, meanwhile, mentions that a flower called achits was used to treat abscesses in Çemişgezek (the flower was also known as ksam, Sultan’s rose, sabunig, and doughd [Althea officinalis, generally known in English as marsh mallow]). The flower was placed on the abscesses to treat them. 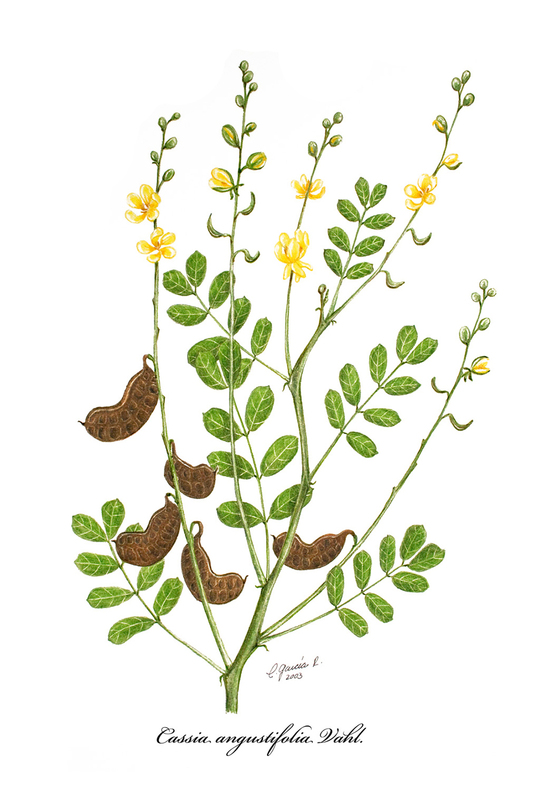 The flower was also used to treat the effects of snake bites and to prevent snake venom from spreading through the body . 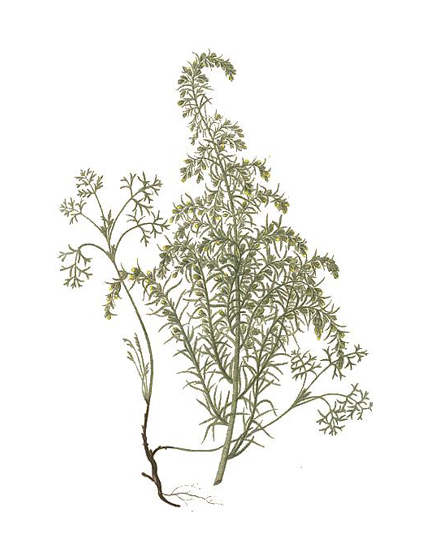 Snakebites were also treated by tying the weed kinelgot (Skirret or Sium sisarum) around the bite. After an hour, the wound was washed, and additional skirret was applied to it . This process was repeated seven times. According to A. Torosian, marsh mallows are mentioned in the book De Materia Medica by Pedanius Dioscoridis [a famous Greek physician and herbalist who died in 90 CE], according to which marsh mallow leaves dipped in oil were mentioned as a treatment for boils . In a much more contemporary publication, we have found evidence that marsh mallows have antiviral, antifungal, and antibacterial properties, and may be able to kill off the Staphylococcus aureaus bacteria . Marsh mallows also contain a large amount of thick mucilage, which could be effective against snakebites by slowing the body’s absorption and retaining of venom. 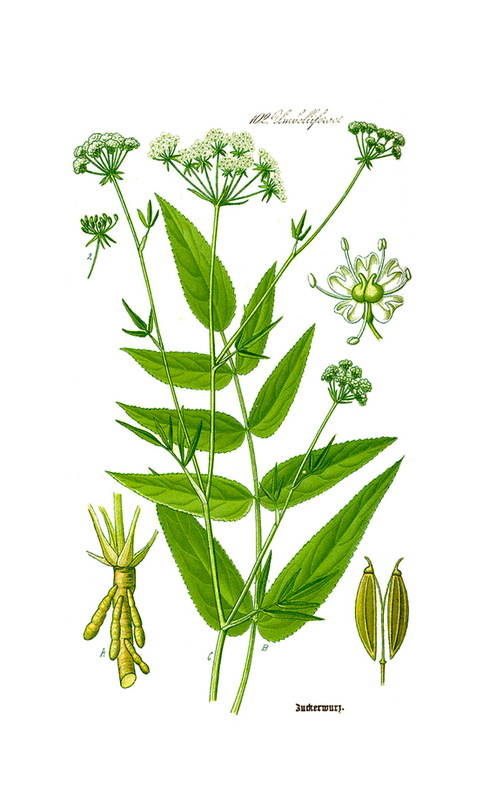 As for skirret, it was not possible for to properly evaluate its medical characteristics. There was little information regarding this disease in the sources. It was a disease that caused the mouth and throat to decay. According to Kasbarian, it was probably cancer . This condition caused the appearance of cavernous wounds on the cheeks and tips of noses of children between the ages of three and ten. Sometimes, adults were also affected . If the patient was bitten by the female sandflies of the Phlebotominae class, and was infected through the bite, the wounds could also appear on the neck or on the hands. The bite of the sandfly would introduce a protozoan organism of the Leishmania class under the skin, and thus, the resulting disease has been known in the annals of science as cutaneous leishmaniasis . These sandflies originally lived in the swampy areas of Syria and Iraq. Through Aleppo, they traveled to Kharpert, and then on to Dersim. The disease was also common in Ayntab and in Adana. To treat the bites of the sandflies, people in Dersim would cover the bitten area with a cloth soaked in malez and copper sulfate (CuSo4). It is known that all saturated sugars, including malez, prevent ulceration and contribute to the growth of healthy scar tissue. As for copper sulfate, it is an antiseptic substance, like the salts of many other metals. In modern pharmacology, wounds caused by this disease are treated with stibogluconate, which is a preparation of another metal, antimony. This topic has already been covered. When the yellow-colored biluribin is not excreted normally by the gall bladder’s bile duct, it finds its way into the intestines and causes various liver-related conditions. Through the liver, the biluribin makes its way into the blood stream, and causes a yellow discoloration of the skin the urine and also the whites of the eyes. . The people of Dersim would mix honey with dried dog’s excrement, and the person suffering from jaundice would drink the concoction, until his/her skin color was restored to normal . Kasbarian writes that some expert healers would treat jaundice patients by “symbolically cutting” the long nerve located under the shoulder blade that stretches all the way to the chest. Supposedly, “cutting” that nerve meant that the spleen and the liver were no longer connected to this “diseased” nerve. Then, every morning, before breakfast, the patient would wash the areas of the spleen and liver with soap water . This type of massage would probably stimulate the functioning of the liver, and contribute to the emptying of the spleen. Diarrhea could be a symptom of many diseases. The people of Dersim treated this common condition in several ways. When a nursing infant displayed symptoms of diarrhea, the nursing was immediately stopped, and the infant was instead fed starchy grains, such as salted chick peas. Starches are able to undergo a process of gelification in the digestive tract, thus slowing bowel movement. Another treatment for diarrhea involved seating the patient on a heated rock, or giving him/her an infusion of pomegranate to drink. 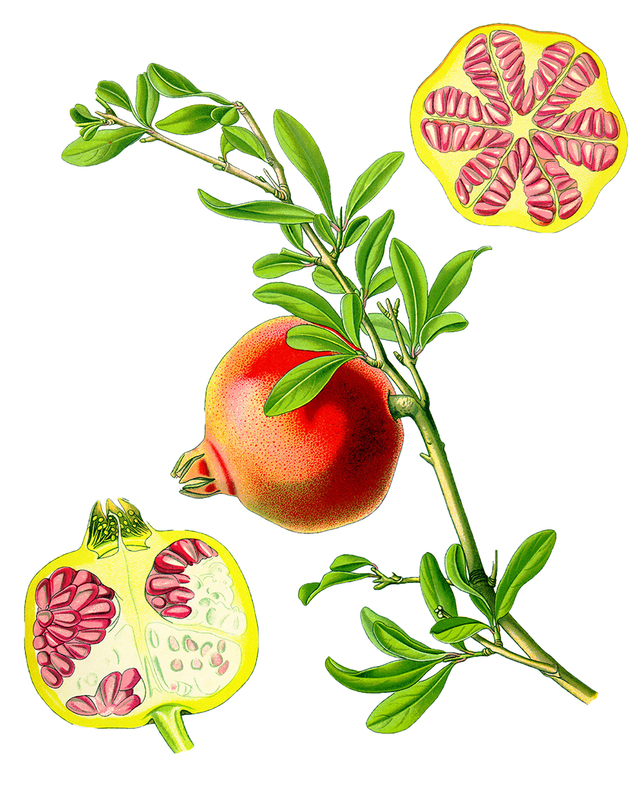 Pomegranates contains tannins that alleviate inflamed intestines, thus lowering the flow of liquid through their membranes . 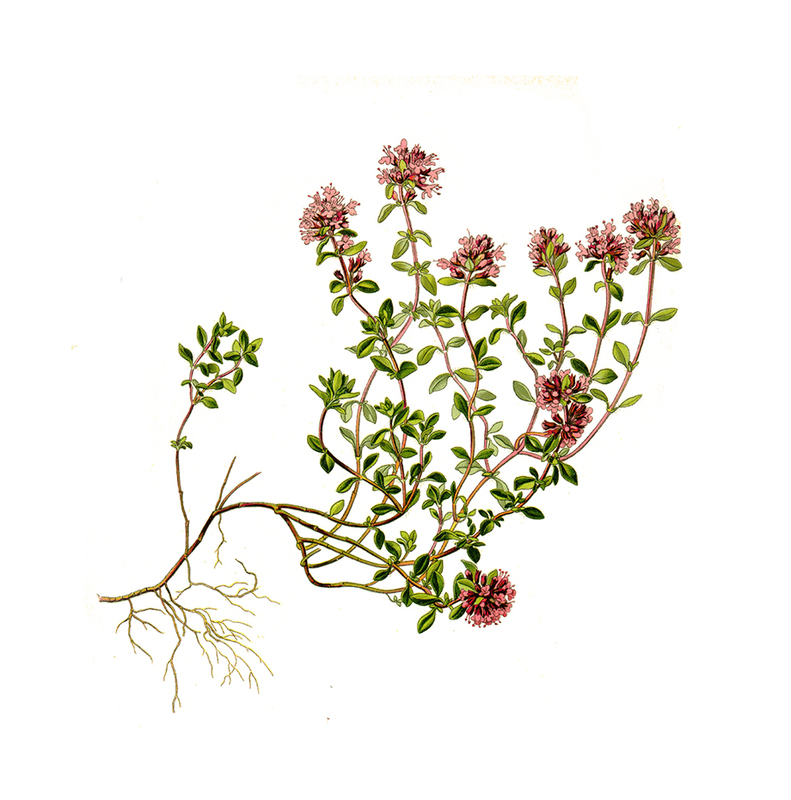 In cases of diarrhea accompanied by abdominal pain, the patient was made to eat zambur, a type of thyme . Zambur contained thymol and tannins . Yerevanian thinks that this was the name given to typhoid fever, specifically caused by the Salmonella typhi rather than epidemic typhus. However, we know that the latter was in fact widespread in the Ottoman Empire. It is possible that Yerevanian was wrong, as it is much more likely that vartsav is in fact epidemic typhus, spread to humans through the bite of the lice infected with the Rikketsia prowazekii bacterium. This is a disease that can spread very quickly in the kind of households that most residents of Dersim inhabited. As opposed to Yerevanian, Kasbarian writes that vartsav was probably epidemic typhus. The only treatment was a long period of rest in a bed-ridden state, and the mortality rate of patients was very high. To treat children suffering from constipation, people in Dersim would boil leaves of Senameki (Cassia angustifolia) in water, mix the resulting infusion with the children’s milk, and give it to the children to drink. In other cases, people would use Spurges (Euphorbia lathyris or Euphorbia orientalis). They would mix the latex of the plant with flour to fabricate small “pills,” the size of which would depend on the age of the patient. Additionally, drops of this “milky sap” would be added to water, and the mixture drunk as a laxative solution . It is worth noting here that the sap of this plant was also used to effectively treat warts on the skin. In such cases, the sap was applied several times a day to the wart . We must also note that in some cases, this sap of this plant may be venomous. If, after using all of these treatment options, an individual was still suffering from constipation, he/she would drink mulberry juice, which has laxative properties. If this, too, proved futile, the patient would drink a solution of “English salt” popularly known as Ingliz duzu (Magnesium sulfate (Epsom Salt), MgSO4), or drink the castor oil obtained from the seeds of Ricinus communis . Although this disease was rare in Dersim, it was also fatal to those who contracted it. Kasbarian writes that this disease was carried to the Dersim area by migrants returning from America or from Istanbul. Patients would waste away, and most of them would eventually die. In their writings, Yerevanian and Kasbarian do not mention any methods of treating the disease, although Kasbarian writes that many natives of Dersim who contracted the disease in other parts of the world would come back to Dersim, where the fresh air would help them recover. Naturally, recovery depended heavily on an individual patient’s natural immunity. This disease is caused by infection of the lungs’ alveoli by different types of bacteria or viruses . According to Kasbarian, the main treatment method in Dersim was wrapping the patient in blankets and inducing heavy sweating, in order to lower the body’s temperature. Another treatment was cupping therapy, which in Dersim was known as kupa kashel [pulling kupa]. Cupping therapy probably reduced the muscular pain experienced by patients of pneumonia by stimulating blood circulation . Antranig describes those who suffered from anemia as having “eyes that are darkened and extinguished.” The people of Dersim, convinced that the condition had to do with an abundance of blood or a high concentration of toxic substances in the blood, believed that the appropriate treatment was extensive bloodletting, which was performed by the city’s surgeon/barbers. There was also a traveling Turkish surgeon, who would go from one village to another and charge a fee to perform bloodlettings . To treat taeniasis (tapeworms in the small intestine), the people of Dersim resorted to the age-old method of eating nothing but pumpkin seeds for an entire day. The worms would be expelled from the body on the following morning. To treat ascariasis, the locals mixed a powdered herb with honey, and fed the mixture to the patient early in the morning. The patient was not allowed to eat again until the unwelcome guests were excreted from the body . In the 1970s, in Beirut, compounding pharmacists hailing from Kharpert were preparing a liquid extract from pumpkin (Cucurbita pepo) seeds, which they intended to use to treat taeniasis. Pumpkin seeds contain a group of chemicals called Cucurbitacins-A to L, ,of which cucurbitacin-E is effective against taeniasis . 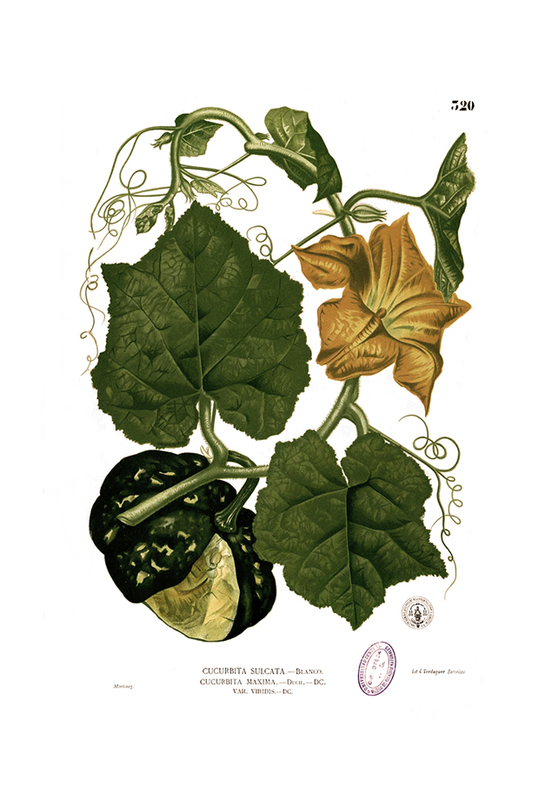 Some Cucurbitacins may also be poisonous. As for the powdered herb mentioned above, it is possible that it was the plant known as Artemisia cina [commonly known as santonica?] 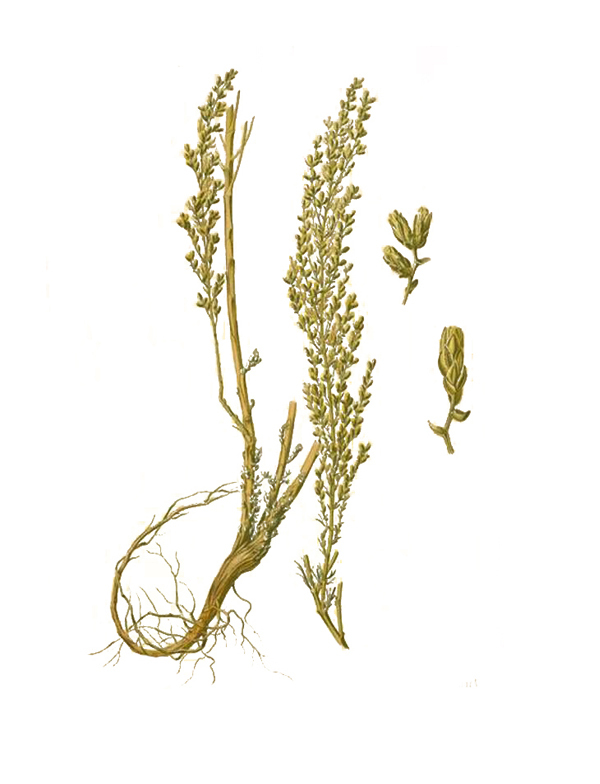 or Artemisia maritima [sea wormwood], of the Compositae flower family. These plants contain the substance santonin (C15H18O3) . Notably, artemisinin, which can be obtained from what the Chinese call quinghaosu (Artemisia annua, or sweet wormwood), is an effective treatment against Plasmodium falciparum, the protozoan parasite that causes one type of the malaria . Earaches were treated with the steam of boiling lentils. Lentils were boiled, the affected area exposed to the steam, and then the ear was kept wrapped. Lentils contain a substance called lectin , and we can infer that lectins, in an evaporated state, may have a palliative effect on aching ears . Eye pain was a common phenomenon in the Dersim area from June through October, but then would virtually disappear during the cold season. Children were affected particularly badly. In Dersim, there was a famous “eye doctor,” called Mrs. Chanchoyan, who prescribed powders and liquids, such as red kherbez, to treat eye complaints. More commonly, the affected eye was wrapped as to not be exposed to light. 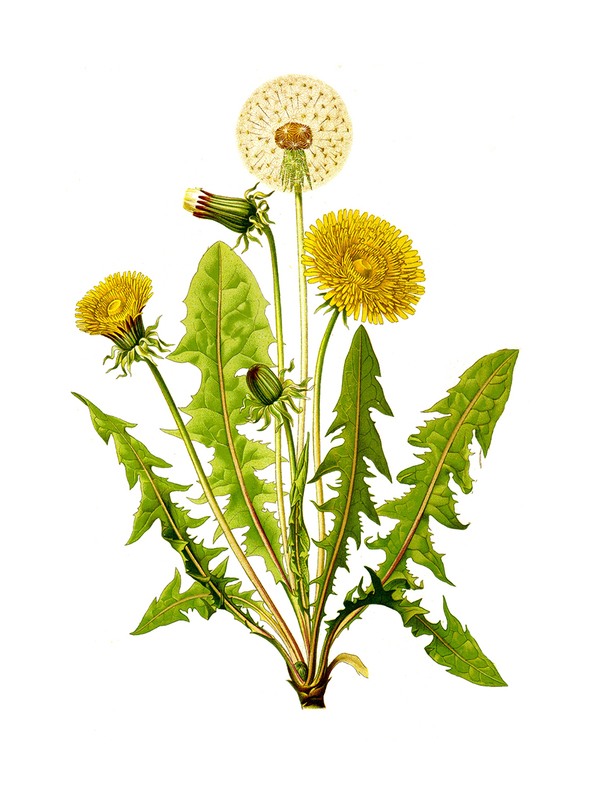 People also used the sap of dandelions (Taraxacum officinale), which contains mineral salts, vitamins, and natural acids. The sap was dripped into the affected eye. Eye complaints were also treated with the milk of a nursing woman. We know that this milk contains antibodies, which fight off diseases. Another option was the fresh milk of a sheep, into which alum was dissolved. A bandage was dipped into this solution, and then wrapped around the affected eye. Alum has astringent properties, and thus could alleviate redness of the eyes by constricting the blood vessels around them. The affected person would be wrapped in blankets dipped in a mixture of garlic and tan (dilute solution of yoghurt). The temperature of the body would drop thanks to the process of hydration, as well as the chemical ingredients of garlic, which are absorbed into the body. This condition was also treated using garlic. 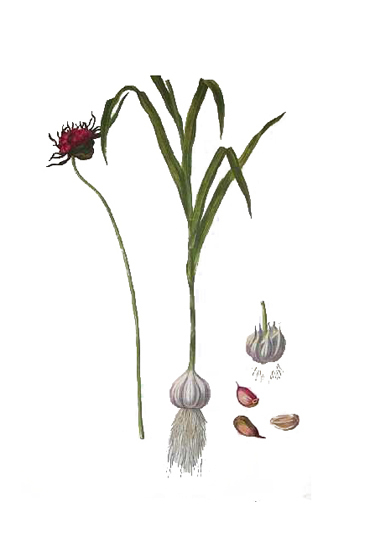 Specifically, garlic was used due to its antiseptic and antispasmodic properties. The affected area was covered in a mixture of powdered sugar and Sulfur. Sulfur has historically been used as a panacea for many skin conditions. The Sulfur, the sugar, and the natural moisture of the skin react chemically, and transform the Sulfur’s physical state, allowing the skin to make use of its chemical properties. Mild headaches – People would dip a cloth in a mixture of vinegar and arak, and wrap the cloth around their heads. Vinegar contains acetic acid, which is an organic acid, and a molecule also found in Aspirin. Wrapping the head with a cloth dipped in this mixture would prevent the acid from evaporating, and contribute to the absorption of the acid through the skin. In contemporary pharmacology, propionic acid, related to acetic acid (one additional carbon), is used as a precursor in the preparation the common anti-inflammatory/analgesic Brufen. 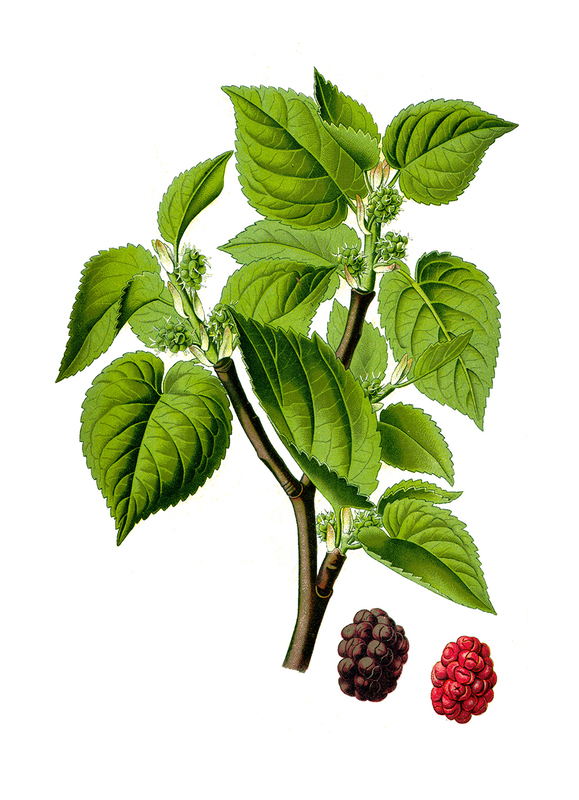 Finally, the arak, distilled from local mulberry, was known and used as a general panacea by the people. Severe headaches – In the case of severe headaches, people in Dersim would dip slices of potato into milled and roasted coffee beans, then wrap these slices around their heads. Caffeine is known for its pain-killing and anti-migraine properties. As for the potatoes, the water in the slices of potatoes contributes to the slow dilution of the caffeine, thus contributing to its absorption through the skin. 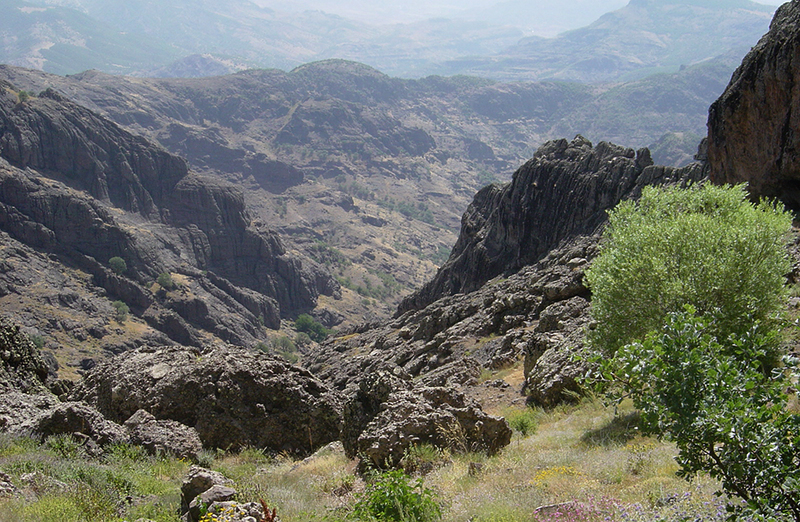 People in Dersim would cover the affected area with tar and bits of frankincense until symptoms were alleviated. The tar would serve as an adhesive agent, while the aromatic, resinous frankincense used in church ceremonies is a healing agent, rich in oils that are absorbed by the body. 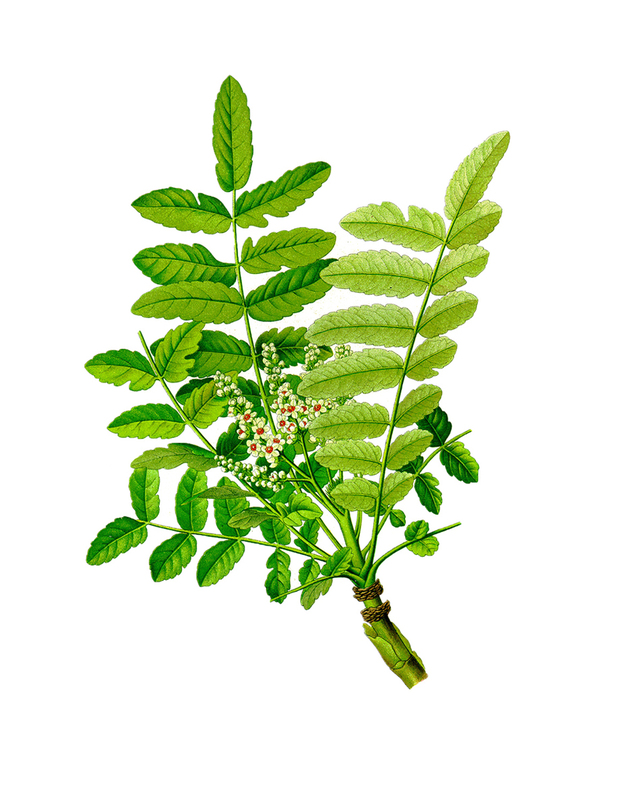 This type of incense would be obtained from the Boswellia sacra tree, also sometimes called serrata. Another treatment for pain in the bones featured nettles of the Urtica genus. The nettles would be boiled in water, and the resulting infusion would be drunk by patients. Children suffering from bone pain would be given milk thistle to drink. Milk thistle is rich in sylmarin, a known anti-inflammatory agent. There were several treatment methods for arthritis. Sometimes, a chicken would be beaten to death, still with its feathers, and the corpse would be tied to the affected area. Another method was tying the skin of a recently slaughtered sheep to the affected area. These items were kept tied to the affected area until they rotted and began stinking. These methods of treatment were probably based on the theory of counter-irritants. Expert bonesetters would use these practices to treat khosdgodil, which was the name given to severe abdominal pain caused by exposure to the cold (evidently, this is the illness known in modern medicine as intestinal flu). We now know that the illness is caused by adifferent types of microbes, rather than by simple exposure to the cold. In Dersim, the condition was treated by manipulating the bones of the back. The bonesetter would place his knee on the back of the patient, and then would pull the patient’s arms backwards, crossing them in the process, until he heard cracking sounds. This process was known as koulij goyrel. The link between the snapping of the bones and abdominal pain has not been ascertained. Possibly, the treatment was meant to stimulate the lymphatic system, which could help the body fight infections. The research presented here, naturally, is not exhaustive. Although some of the practices of Armenian traditional medicine have now been proven to be effective by science, many other practices still require research and clarification, which is true of the traditional medicinal practices of all peoples. As for “treatments” based solely on faith and the expectation of divine intervention, the placebo effect probably played a large role in improving the condition of patients. The placebo effect is a phenomenon whereby one achieves certain results thanks to one’s desire for that result. There is a possibility that such psychological factors may create biosynthetic substances that might influence health. Some even believed that a simple recitation of the Nareg could cure their ailments . Regardless, the study of traditional medicine may result in the discovery of beneficial treatments and practices that are still unknown to zealous practitioners of modern, orthodox medicine. The investigation of traditional medicine can only contribute to the effectiveness of modern medical practices. Zhang Qi, Traditional Medicine Definition, World Health Organization (WHO). Kevork S. Yerevanian, History of Armenians in Charsanjak, G. Donigian Publishing House, Beirut, 1956, pages 479-481. Mathieu Ricard, Plaidoyer pour les Animaux, Allary Editions, Paris, 2015, page 81. Haygazn Ghazarian, The History Book of Çemişgezek, Hamazkayin Publishing House, Beirut, 1971, pages 126-128. CSF Gomes, Naturotherapies Based on Minerals, page 3, table 1. Father Karekin Srvantsdyants, Toros Aghpar, Traveler to Armenia, part B., K. Baghdadlian (Aramian) Publishing House, Istanbul, 1884, page 114. The Merck Manual – Home Health Handbook, Malaria, Whyley, 2009, pages 1218-1220. Hampartsum Kasbarian, Çemişgezek and Nearby Villages, “Baykar” Publishing House, 1969, page 504. 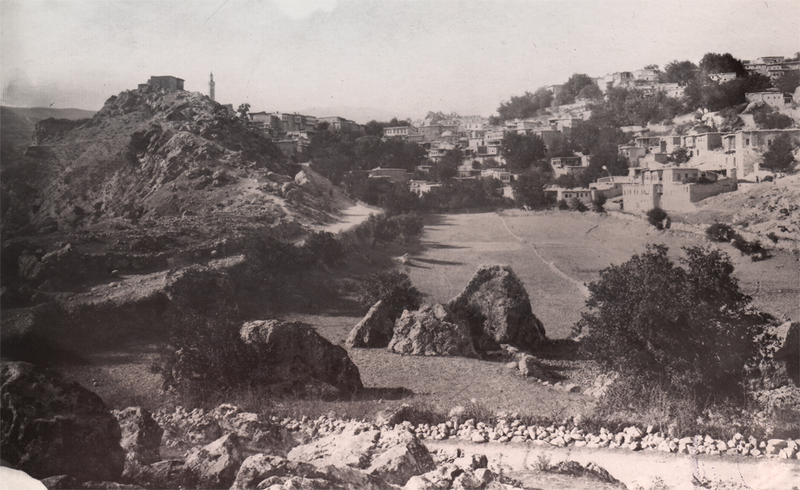 Antranig, Dersim: Travels and Surveys, Tbilisi, published by Mnatsagan Mardirosian, 1900, page 195. The Merck Manual, Whyley, 2009, pages 1176-1177. Susie Hoogasian Villa and Mary Killbourne Villa, Armenian Village Life Before 1914, Wayne State University, Detroit, 1982, page 152. A. Torosian, Medicinal Plants of Armenia, “Hayasdan” Publishing House, 1983, pages 261-267. Ali Shah et al, Pharmacological Activity of Althea Officinalis, published in Journal of Medicinal Plants Research, volume 5 (24), October 2011, pages 5662-5666. The Merck Manual, pages 1217-1218. A. Schauenberg at al, Guide to Medicinal Plants – Thymus Vulgaris, London, Lutterworth Press, 1977, pages 256-257. Garabed Kapigian, Armenian Flora, Jerusalem, Srpots Hagopyants Publishing House, 1968, pages 108-109. Larousse des Plants qui Guerissent, Euphorbe epurge paragraph, 1974, page 120. The Merck Manual, pages 463-465. Dinan L. Hormann, “Ecdysteroid Agonists and Antagonists,” published in Comprehensive Molecular Insect Science, volume 3, pages 197-242. Walter H. Lewis and Memory P.F. Elvin-Lewis, Medical Botany: Plants Affecting Human Health, New Jersey, Wiley, 1977, page 290. The Merck Manual, page 1120. 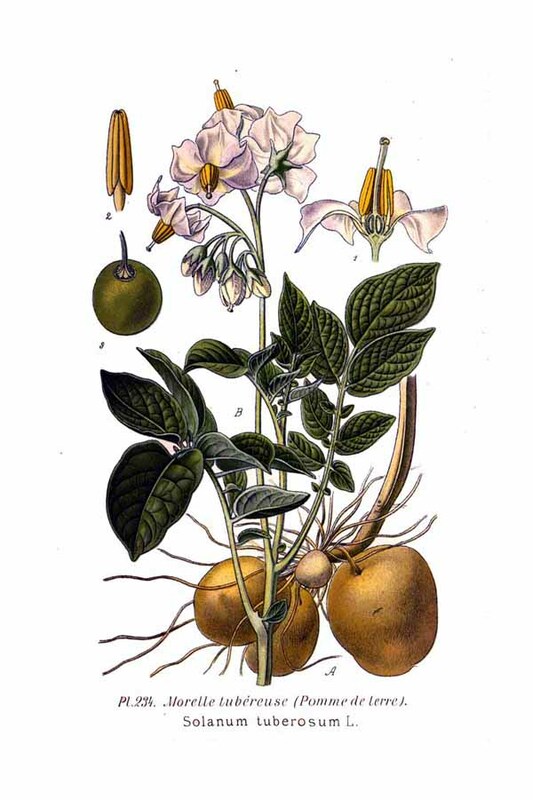 Lewis/Elvin-Lewis, Medical Botany, page 99. One of the proponents of this idea is psychologist Armen Nersisian (Armenia). Plants and their Armenian Names [in Armenian], Mekhitarian Publishing House, Venice (Saint Ghazar Island), 1952. Garabed Kapigian, Armenian Flora [in Armenian], Jerusalem, Srpots Hagopyants Publishing House, 1968. Armenag K. Bedevian, Polyglotic Dictionary of Plant Names, reprint of 1935 edition, Cairo, Madbouly Bookshop, 1994. I first heard the name of Dersim in the 1950s, during my youth in Beirut, Lebanon. On the eve of the first day of school, and on the eve of Palm Sunday, my parents (who were natives of Kharpert) would take my sister and me to the Dersim shoe store, owned by the Yerevanian-s. The store was located off the arched sidewalks of the Maarad area, and at a distance of about ten minutes’ walk from my father and uncle’s pharmacy. The latter, called Pharmacie Centrale, was located on the ground floor of a 14-story building (seen as a miracle of engineering at the time) in the Azarieh building. My parents, from Kharpert, and the Yerevanians, from Dersim, had thus established their stores near each other in the middle of Beirut. Many years later, thanks to the maps on the Houshamadyan website, I discovered that the two Ottoman provinces of Dersim and Mamuret-ul-Aziz [the official Ottoman name of Kharpert Province] were also neighbors, the former located on the northern branch of the Euphrates, and the latter on the eastern branch (also called River Murat). When the editorial staff of Houshamadyan suggested that I research the topic of folk medicine in Dersim, I accepted the task enthusiastically for several reasons. First, I wanted to contribute to the website’s mission. I also saw this research as a way to indirectly satisfy my yearning for my native Beirut, a city rich with Armenian culture and organizations, as well as many “compatriots” who were often the topic of conversation in my parental home. The third reason was my desire to thoroughly study the traditional medical practices of Dersim, to describe them to the readers, and to strive to explain those practices scientifically. I would like to express my gratitude to Rakel Demirjian, manager of the Hamazkayin bookstore in Montreal, who provided me with several botanical dictionaries, and to historian Vahe Tashjian, who provided me with other sources for research. I also express my gratitude to pharmacist Ani Boudjikanian, who provided me with specialized information relevant to my research. I would like to add an important stipulation – this article has a purely research purpose. Readers are advised not to use any of the practices described herein to treat or diagnose medical conditions. 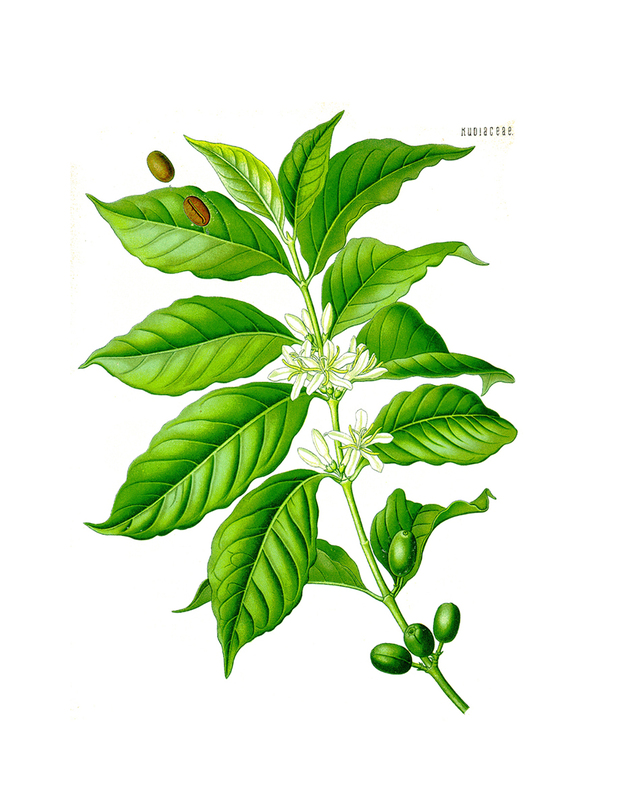 Image sources: Von McCormick and company, Spices, their nature and growth, the vanilla bean, a talk on tea, 1915; Franz Eugen Köhler, Gustav Pabst, Köhler's Medizinal Pflanzen, Gera-Untermhaus, Köhler, 1887; Herman Jan Kops, Christiaan van Hall and others, Amsterdam, J.C. Sepp, 1832, volume 6 (plate 444); Amédée Masclef, Atlas des plantes de France, 1891.